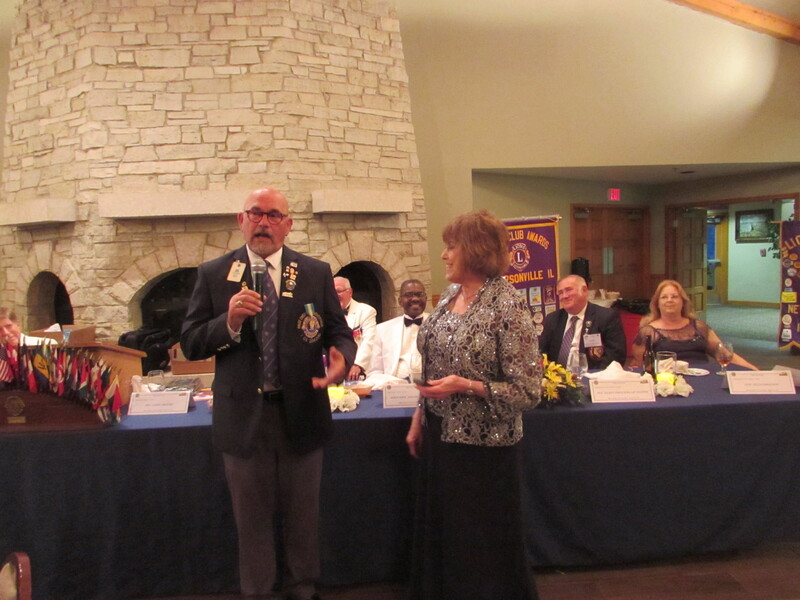 My travels to District 1-CS in Illinois combined professional responsibilities for NDSU and service to Lions Clubs International. 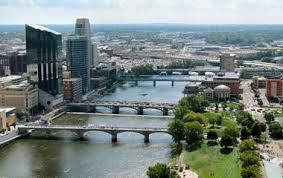 View of the Amway Convention Center and bridges crossing the Grand Rapids River. I started the week heading back to Grand Rapids, Michigan (site of the 2015 USA/Canada Forum) where I represented North Dakota State University–this time–at the Central States Communication Association Convention. Entry to the Rend Lake Resort where the 1-CS convention was held. I then left Grand Rapids en route for Rend Lake, Illinois. The beautiful resort located on the second largest lake in Illinois was a great setting for the District 1-CS Lions Convention. As I made my way South through several airline connections . . . I never knew they packed the luggage in the nose and in the wing compartments! 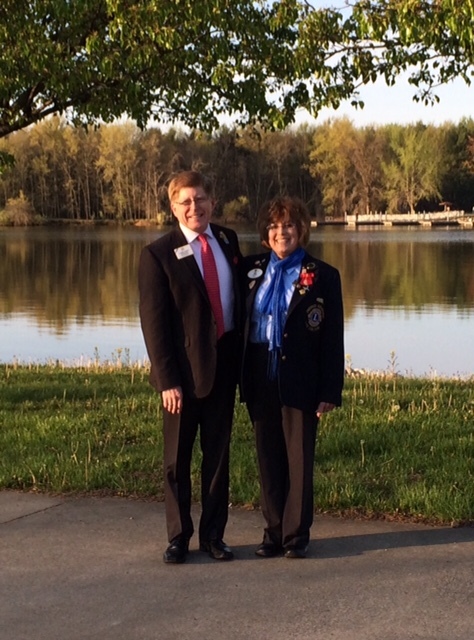 I arrived late in the evening and Past District Governor Chip Harrington was there, waiting to take me to the resort. I didn’t see much of the countryside because of the darkness, but the next morning, what a beautiful sight! A beautiful morning walking along the lake. ID Robert Littlefield and DG Vickie Luter. After an early breakfast, District Governor Vickie Luter called the cabinet meeting to order and the convention was underway. DG Vickie believes in recognizing people for what they do and for saying thank you for efforts made on behalf of Lions Clubs International. I enjoyed hearing about all of the District’s successes—particularly the fact that it was up in net growth by 28 members! 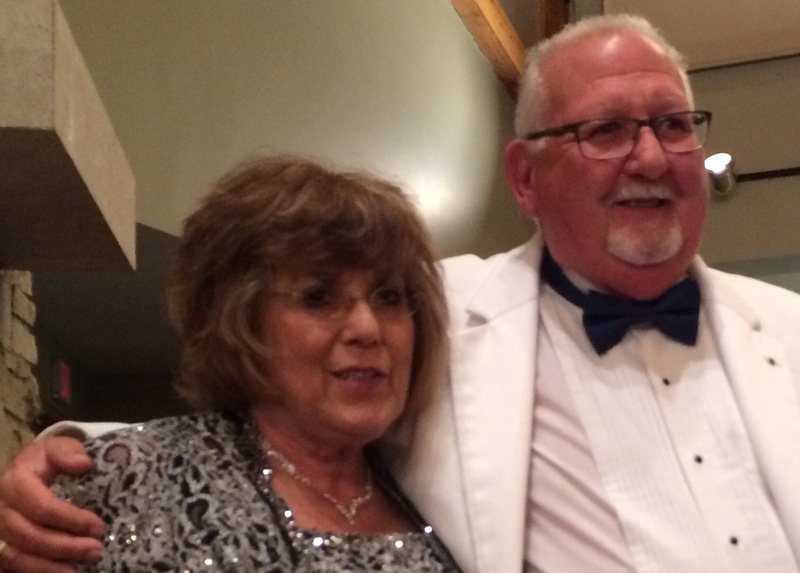 Lions of Illinois Foundation Executive Director Mario Gumino (R) and DG Vickie (C) present a LIF Foundation Fellowship to Lion Jerry Luter for his service and commitment. 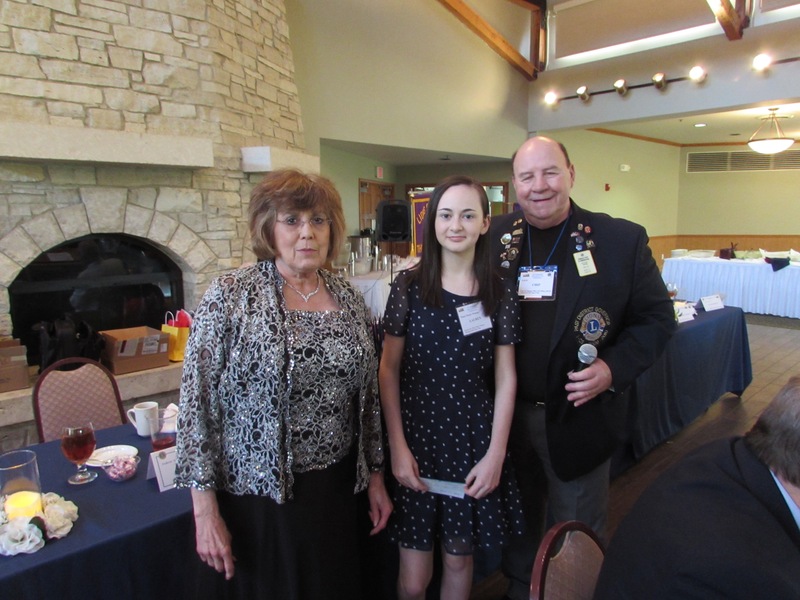 DG Vickie has worked very hard to strengthen clubs and with the support of Lion Jama Wahl, this past fall she sponsored a Guiding Lion Training Seminar that increased the number of Guiding Lions by 19 in her district. I had a pleasant surprise to see IPID Bill McKinney and PCC Lydia Ellis in attendance. It was great to see them and catch up on what they have been doing this year. During the meeting, I was able to participate and share information about the LCI Centennial, membership initiatives, and the LCIF One Shot, One Life Measles Initiative. I am pleased to report that throughout the day, Lions made contributions and we ended the convention raising $450 (which means $900 with the GAVI match) to help vaccinate children and people in need. 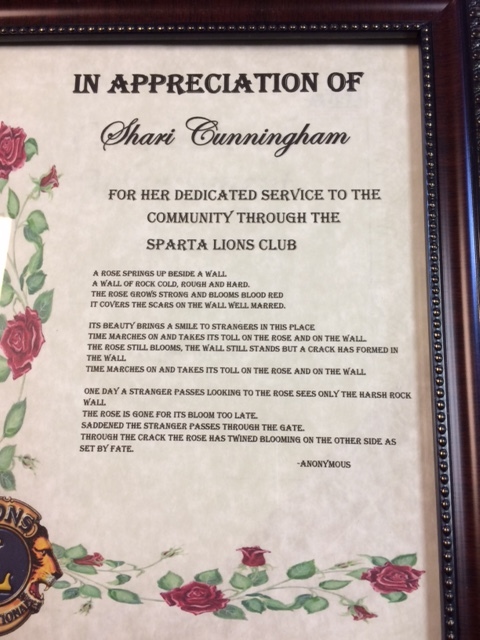 They had a beautiful memorial service and I thought the framed certificate they gave to the family or club of each of the deceased was one of the nicest I have seen. I was called upon to oversee the elections and all proceeded appropriately, resulting in the election of a District Governor Elect Bishop Derek Eurales, a 2nd VDG-Elect Jeff Murrie, and a Trustee for the Lions of Illinois Foundation PDG Steve Griffin. Congratulations to all! In the evening, a banquet capped off the activities. The room was beautiful. 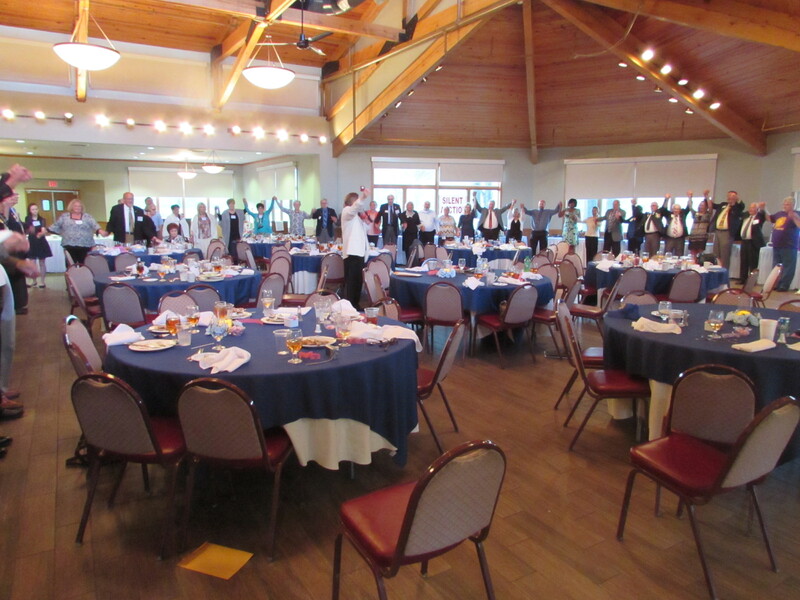 At the end of my presentation, we formed a large circle and pledged to climb new mountains as we raised our hands in service. Awards were presented to the Peace Poster contest winner and other deserving Lions. Pictured are DG Vickie (L), the winner (third artistic sibling in her family to win the contest), and PDG Chip Farrington (R) who chaired the Peace Poster Committee for 1-CS. Presidential Certificates of Appreciation went to DGE Derek Eurales, Lion Brenda McCluskie, Lion Jeff Murrie, and Lion Larry Motsinger. 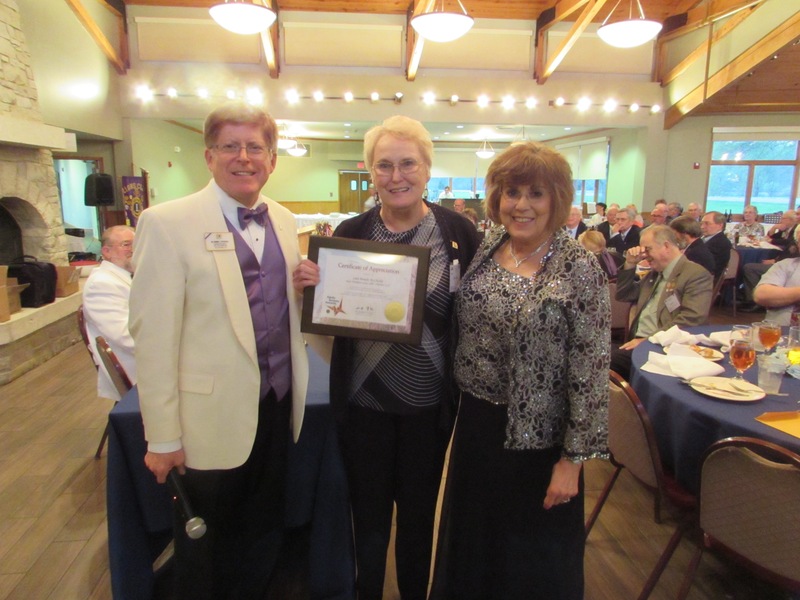 Pictured here is ID Robert, Lion Brenda McCluskie, and DG Vickie. Lion Brenda provides many forms of service. In particular, she served as official photographer for the convention so we were lucky to get this photo! 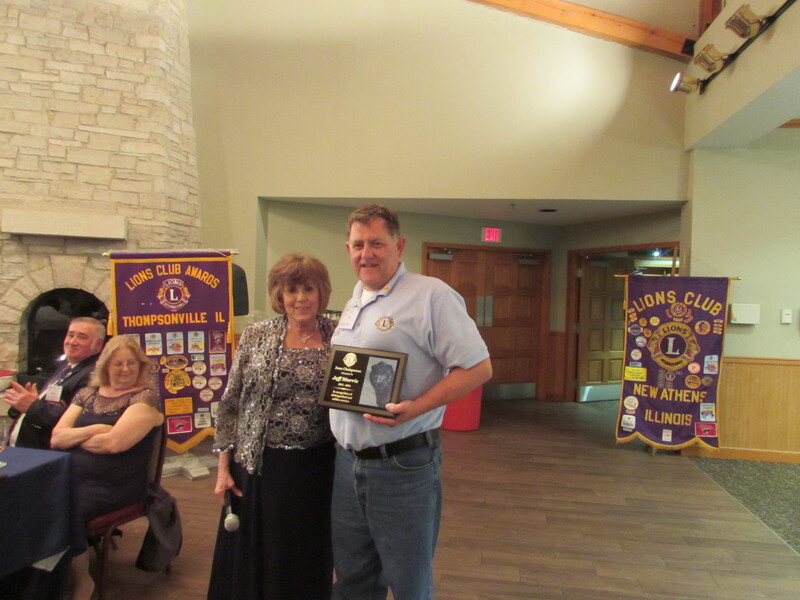 In addition, after 20 years of service, PDG Larry McGuire stepped down as Secretary-Treasurer and was presented with a beautiful clock as a token of appreciation for his dedication. A person who is not easily surprised, this gesture by DG Vickie touched his heart. 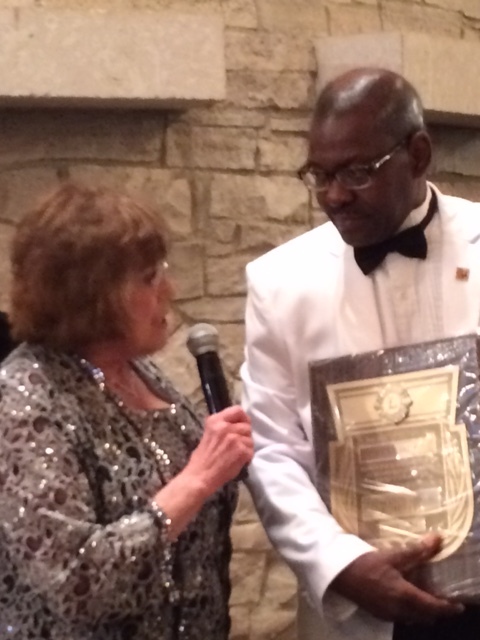 DG Vickie and PDG Lion Secretary-Treasurer Larry McGuire share a moment after he was presented with a commemorative clock as a token of appreciation for his service. The next morning, PDG Chip brought me back to the Williamson County Airport and waited to be sure my Cape Air flight was on schedule. I appreciated the conversation we had coming and going as I learned about our common interest: safety and risk communication (a pertinent conversation, to be sure). This topic of safety was fitting as I observed at first-hand the complicated workings of the cockpit. 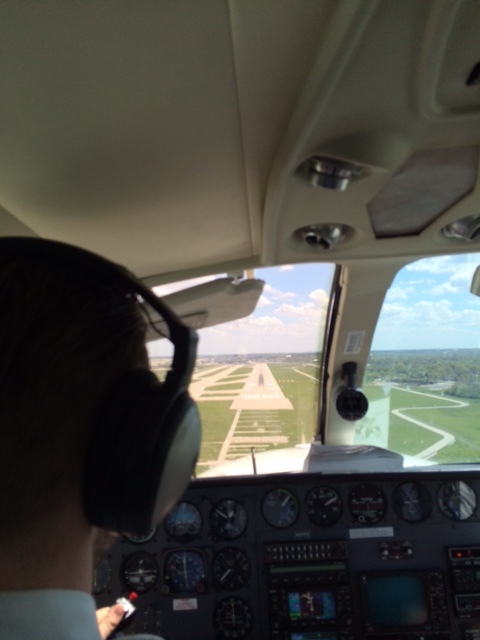 I have a great deal of respect for those who are trained to fly airplanes! 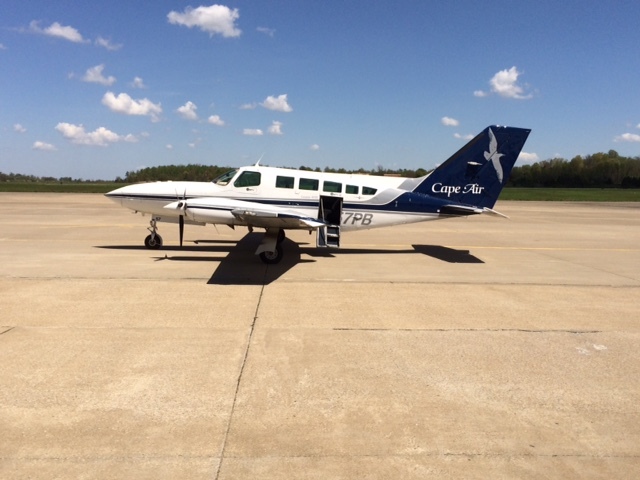 We had a smooth ride on Cape Air as we landed in St. Louis, MO! As I boarded the last plane in Minneapolis for Fargo, my thoughts already on our next visitation to Ohio. But, I will always remember the warm and gracious experience I had with the Lions of 1-CS. Kathy and I continue to be grateful for this wonderful opportunity to serve. 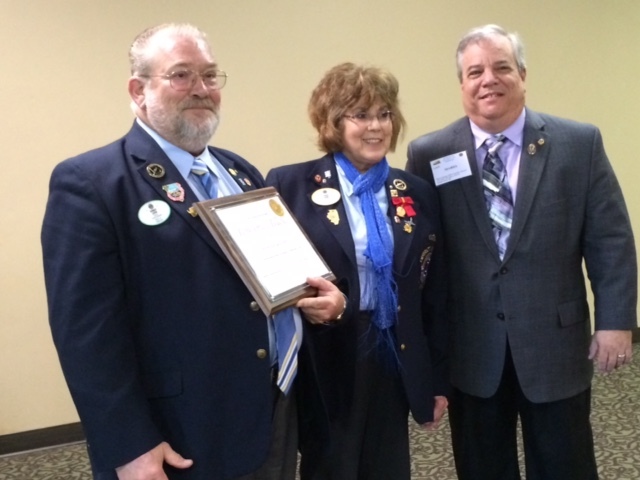 Thank you, Lions of MD5 and the world for electing us to the LCI Board of Directors!